Brief by Dr. John Bacher PhD, Researcher Preservation of Agricultural Lands Society (PALS) on Bill 39, Better Communities and Conserving Watersheds Act. 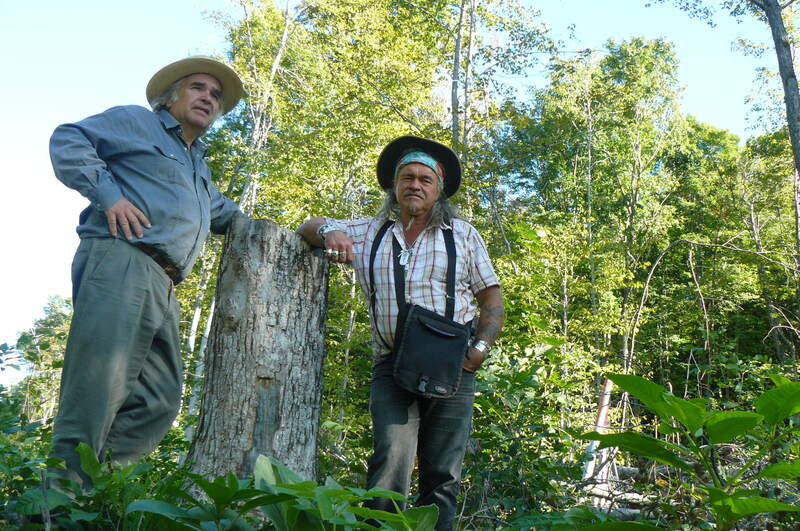 John Bacher PhD and (r) Turtle Clan Mohawk, Elder Danny Beaton, French’s Hill, Photo by Les Stewart, Waverley, ON, 2015. PALS views the hearings on Bill 39 as a critical opportunity to move Ontario is a more ecologically sustainable direction. Such a shift is necessary in view of increasing population, pressures on land and water from climate change, economic growth and loss of bio-diversity. There are reasons for optimism however, in the refinement of the basic instruments that deal with these challenges: the acts that establish the Ontario Municipal Board and Conservation Authorities. Given that Ontario has increased both wealth and population since the passage of the Planning Acts of 1946 and Conservation Authorities Act of the same year, it is astonishing that much of the ecology of our province is in better condition now than it was at that time. This is largely because forest cover in southern Ontario and consequently watersheds, is better than it was when these acts were passed. This can be vividly seen in the example of the Credit River, which although flowing through a watershed of around 800,000 people, is witnessing the return of the long extirpated, Atlantic Salmon. Also the devastation caused by low forest cover such as desertification and flooding has largely vanished into history through reforestation efforts spearheaded largely by Conservation Authorities. . Despite the successes of land use planning and Conservation Authorities since 1946, there remain serious challenges, the most important of which concern pressures on Conservation Authority staff by municipal councils influenced by land development interests, which also contributes to bad land use planning decisions by municipal governments. The best way to address this problem is by restoring the balanced representation between municipal and provincial representation on authority boards which was lost by the 1996 amendments to the Conservation Authorities Act. 2. Merging of Ontario Municipal Board (OMB) and Conservation Authority Act Legislation is Reasonable Given Development of Legislation in 1940s. The approach taken in Bill 39 is similar to the intellectual ferment in the 1940s that resulted in the Planning Act and Conservation Authorities Act. In this regard however, it should be stressed, that while the conservation legislation approximated that advocated by reformers, the approach taken by the Planning Act did not. It merely facilitated land use planning in a permissive way by municipalities, with little provincial oversight except through appeals to the OMB. The broad outlines of what is seen as good planning today, focusing urban growth in Ontario south of the Oak Ridges Moraine and the Niagara Escarpment coupled with the protection of wetlands and stream valleys, is all seen in the early land use planning studies and conservation authority reports of the 1940s. What was not implemented at the time however, was a recommendation for a Land Use Planning Board for Ontario. This would have directed the basic land use planning for Ontario-protecting the lake after which the province is named, by guarding the headwaters of its streams and its river tributaries. It would also keep sprawl away from polluting the vital cold water trout streams that nourish Lake Simcoe and Georgian Bay. PALS has written earlier at length of the need for an Ontario Land Use Planning Board, to replace the OMB. We do not believe that the proposed Local Appeals Tribunal has the serious mandate to correct errors by municipalities that would facilitate sprawl, as compared to one that has a clear obligation to uphold the principles of provincial land use planning. There is a serious danger, well expressed by environmental lawyer David Donnelly, who has provided legal counsel to PALS, that the OMB will change from a rubber stamp for developers, to one for municipalities. At a recent OMB hearing which resulted in a favourable decision that stopped a proposed urban boundary expansion immediately south of the Niagara Escarpment in Niagara Falls, PALS was shocked by narrow municipally- centered arguments that mocked the very notion of provincial land use planning. When an expert planning witness from the province testified that it had been provincial policy since the 1980s to have planning need based on calculations of need determined by upper- tier projections, the proponent’s lawyer argued that the planner was simply stating “ministry gospel.” This example of poor municipal planning confirms our view, that the reformed Planning Act’ appeals tribunal’ to emerge as a result of your deliberations should retain the right to clearly reject municipal decisions, not simply send them back for reconsideration. The mocked “gospel” of the ministry, might be hard on municipalities and developers, but it is truly “good news” for those who care for the environment. Upholding the principles of provincial policy should not be entrusted to local appeals or municipal board, but one entrusted with upholding provincial land use planning. An Ontario Land Use Planning Board is long overdue. 4. Ecological Devastation Caused Movement that in a Decade Resulted in the Conservation Authorities Act. Discussions of changes to the Conservation Authorities Act need to be put into the context of what propelled the legislation. This was environmental devastation caused by the deforestation of the watersheds of the fertile farming areas, south of the Canadian Shield, in Ontario. The passage of the Conservation Authorities Act of 1946 was the culmination of a nine year-long struggle spurred by the Thames Flood of 1937. Most dramatically the flood engulfed underwater a quarter of the city of London, Ontario. A number of other communities were devastated by flooding, most notably Stratford. There had been reforestation efforts in Ontario since 1905 assisted by the province, which got an important surge from the County- led reforestation efforts of the Agreement Forest program of 1921. However, to stop flooding, these needed to be carried out on a more comprehensive, watershed basis. Middlesex County for instance, although centered for a large area around London, could not by its own reforestation efforts avert the flooding of the Thames. Many important areas that the Northern Thames Watershed Authority protected and reforested after it was created in 1947, for instance, the Dorchester Swamp, were located outside Middlesex, in Oxford County. In the first few decades of the work of Conservation Authorities there were some significant controversies around dams. Even in areas where major dam construction was undertaken, notably near London, reforestation remained important since it prevented reservoirs from being clogged up with silt generated by erosion. Some of the successes of Conservation Authorities were achieved without any dam construction, but almost exclusively through, reforestation. One of the most vivid successes was the work of the Ganaraska Authority. At one time forest cover in the Ganaraska was only at five percent. Then in the 1940s, the river flooded downtown Port Hope every two years. Now forest cover is at 45 per cent and there has not been a flood in Port Hope since 1980. Most of the reforestation carried out in the Ganaraska watershed, as in most of southern Ontario, was on marginal land, suitable not for cropping, but only pasture. This was carried out on the Oak Ridges Moraine. In the past, dam controversies because of their threat to native aquatic life forms, notably fish, were the major stain on the work of conservation authorities. This was eliminated in the early 1970s by the passage of the Environmental Assessment Act. Its provisions to consider the need for alternatives to an undertaking eliminated the justification for new flood control dams. This is because its provisions for alternatives to such undertakings, which harmed fish habitat, showed that dams could be avoided by planting more forests. Urban sprawl has now become the biggest threat to the successful legacy of conservation. This was a serious threat to the Ganaraska watershed itself. In the 1980s a movement arose to “Save the Ganaraska Again.” This time the threat was not farmers cutting trees, but rather developers. The Ganaraska was saved a second time through the movement to protect the Oak Ridges Moraine. A ten year ban was placed on any urban boundary expansions in its headwaters. This has been recently reaffirmed and re-extended after considerable controversy during the just- completed review of Greenbelt. 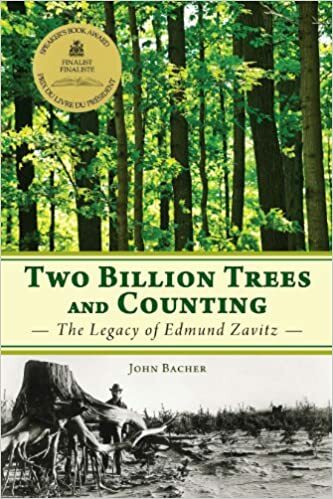 In my publicity efforts to promote the life of a key architect of the Conservation Authorities Act, Edmund Zavtiz, I am continually shocked at the basic threats to the past rescue of Ontario through reforestation. Next to Springwater Provincial Park, I saw an estate residential development established on reforested lands that had been zoned for environmental protection. A few months later I was horrified to see the park threatened by closure, which was only stopped by a native occupation, in which my close friend Danny Beaton, a Mohawk of the Six Nations, played a major role. 6. Work with Native Peoples Showed Need for Provincial Representation on Conservation Authority Boards. The importance of provincial representation on Conservation Authority Boards came to my attention through working with the adherents of the traditional Iroquois Confederacy. In the early 1990s a friend of mine, Brian Wiles-Heap, was working closely with the Confederacy in their successful efforts to stop canalization of the Grand River. In this the support of the provincially- appointed chair, Archie Mac Robbie was key. He was the only person there who would listen to the concerns of the confederacy chiefs, such as Arni General. The agreement he signed with the provincial government on a Grand River Strategy for the Management of a Heritage River in 1994 finally stopped schemes to canalize the Grand. After Wiles-Heap’s departure to the United States to work on the issue of the protection of Redwood Forests, I continued to work with Confederacy environmental activists, such as their delegate to the bi-national Iroquois Confederacy Committee, Norman Jacobs. This concerned their efforts to have tree planting along the Grand River and its tributaries. They sought such reforestation to protect fish habitat, through means such has providing shade during hot summer months. During my work with the Confederacy I was horrified to see that the critical bridge in their efforts to use native rights to restore the Grand, the provincial representatives to the Conservation Authority boards were all removed. This was done in a quite abrupt manner before their normal four year terms expired. This effectively removed any serious influence over the Conservation Authority Boards, which became exclusively dominated by municipal politicians. In my meetings in the Upper Cayuga Longhouse, the seat of the Confederacy’s government, I was told that mismanagement of the environment was death knell of treaty rights to hunt and fish. Only 18 per cent of the Grand River is in forest cover and it remains a major source of phosphorous contamination in Lake Erie. This situation has been encouraged by the ill-considered removal of the very representatives on the Grand River Authority Board most inclined to listen and respect the ancient wisdom upheld by the chiefs and clan mother of the Iroquois Confederacy. It is Canada’s oldest continually functioning government. 7. Working with Native People Drew to Attention to Problem of Conservation Authority Governance in Simcoe County. It is working with native peoples of the region of Simcoe County that I have been most shocked by the two contrasting world- views of native people and the dominant settler-colonial society. What really brought this home to me was the water walk sponsored by the Ojibway of Georginia Island. The forest of their small reservation was bigger than any we had walked on around the lake, in part since the lands around Orillia are one of the few parts of the province to be without a Conservation Authority. This is largely because of the fierce determination of municipal councilors against having any such body established. The patchy nature of Conservation Authorities around the province is of serious concern. A flaw in the original legislation is that their establishment is one of a complicated municipal option. Their establishment should definitely be compulsory, as are boards of education. Essentially the establishment of Conservation Authority Boards were held up for decades in many parts of the province by narrow self-interested real estate and development interests that held sway on municipal councils. This can be seen in the strange situation that there are two (northern and southern), Thames River Conservation Authorities –a matter commented upon by former director of the Authority branch, Alfred Barnes. The Northern Thames authority was created very quickly in 1947. Keeping out municipalities in the southern part of the Thames was the only way that a Conservation Authority could be formed to rescue London from serious flooding threats. Support for the Lower Thames Authority only came twelve years later in 1959, finally secured by the province’s threat to refuse compensation payment for flooding damage. From my own biography of Mel Swart, an important founder of PALS, I understand how difficult it was to secure the creation of the Niagara Peninsula Conservation Authority (NPCA) . Mel explained to me the determination of municipal councilors opposed to it, who also fought the establishment of a tree cutting by-law. In many parts of the province municipal councilors who initially fought the establishment of Conservation Authorities, later clashed with the staff that operated them over issues related to their advisory role in land use planning. This most vividly ended the career of one of Ontario’s most effective public servants engaged in conservation, the late Mac Kirk. The conflict relayed to me by the former Niagara Regional Planning Commissioner, Corwin Cambray, emerged out of his co-operation with the research of Len Gertler, which was a prelude to the establishment of the Niagara Escarpment Commission. The problem of the fusion of developer interest and the control of Conservation Authority boards became evident with two firings of the senior staff of the Nottawsaga Conservation Authority in 2014, Those impacted were Wayne Wilson, who served as CAO of the authority for 22 years, and Patti Young a senior planner. The firings came after Young sent a barrage of hostile questions to the Springwater Township Council concerning urban expansion. The board of directors was composed of supporters of massive urbanization of 30,000 new residents in Midhurst on prime agricultural lands. Development on such a massive scale threatens the health of the Minesing Wetlands, a refuge for the Endangered Hine’s Emerald Dragonfly, and other unusual wildlife such as the Trumpeter Swan, Sturgeon, the White Fringed Orchid, and the Cerulean Warbler. The loss of provincial representation on Conservation Authority Boards stirred up more environmental experts than protestors. When introduced, it drew the ire of foundations with long experience of working in partnerships with Conservation Authorities and the province to acquire natural areas, not demonstrators who rallied in massive protests. Until 1996 the province appointed five members of each authority board, including the chair. Some of the most distinguished chairs served on the Toronto and Metropolitan Region Conservation Authority Board, beginning with its first, Herbert Arthur Richardson. (Author of what is still the only book on Ontario’s Conservation Authorities, “Conservation by the People”, introduced by Alf Barnes.) A long-time assistant of Edmund Zavitz, he helped to spearhead the movement to create conservation authorities. The last provincially-appointed chair of the Toronto regional Conservation Authority was a remarkable urban forester, William Granger. He was an architect in encouraging urban forests -converting large swaths of previously mowed grass to healthy forests. My criticism of the elimination of provincial appointments to Conservation Authority Boards is not intended as a partisan critique. The previous successful model of governance was developed by the Conservative administration of Premier George Drew, while the current flawed approach was the work of the Conservative government of Mike Harris. The proposed legislation essentially adopts the model for Conservation Authority governance of Premier Harris, not the better one of Premier Drew. I supported the Harris government’s creation of the City of Toronto and other municipal re-organizations. These wrongly drew massive protests. However, the elimination of provincial representation on Conservation Authority Boards had quite harmful impacts. Sadly they were noticed by only the professional staff and most dedicated members of environmental philanthropies. They did make presentations to the appropriate provincial legislative committee but these were covered only on the back pages of newspapers such as the Globe and Mail. I read an article in the Globe and Mail at the time and indicated that the environmental philanthropies, which were caught off guard by the need to become protesters, were concerned about the possible sale of Conservation Authority lands which were acquired through partnerships with them. I am not aware of a single incident of even the allegation of corruption or lesser abuse of power of a provincially-appointed Conservation Authority Board member. Rather than such practical considerations removal of provincial appointees seem to have been made on the basis of narrow ideologies of municipal autonomy. Unlike the hiring of municipally- appointed Conservation Authority Board representatives which are conducted in secret, provincial appointments are vetted through an all party committee of the Legislature. This provides a safeguard against inappropriate appointments . Whatever such ideas may hold in the abstract teachings of political science they are not in accordance with the Canadian constitution. It states clearly that municipal governments have no inherit rights, they are simply a responsibility of provinces. In Niagara over the last few years I have been a leading critic of the municipally -appointed Niagara Peninsula Authority Board. (NPCA). I have purposefully left this to the end of my presentation. I have found that the persecution of the staff of the NPCA by the municipally – elected representatives to be a devise to challenge my own achievements in the protection of the environment, especially that of the Thundering Waters Forest. Thundering Waters is a 483 acre predominately-swamp forest, a haven to a great variety of rare species, most significantly now, three species of bats that need old growth forests for roosting. It also has a large area of vernal pools which provide critical breeding habitats for obligate species such as the Grey Tree Frog, Wood Frog, Western Chorus Frog, Spring Peepers and the Blue Spotted Salamander. Recently as a result of a recent sit-in by brave environmental activists, it has been found to have a significant population of a provincially Threatened Species, Liatris Spicta, a colourful wildflower commonly called the Dense Blazing Star. It also appears to be the only Ontario location where another listed species, the Nine Lined Lady Beetle is present, although denied as surviving in the Province by some scientists. The entire reason for the controversies over the NPCA governance in Niagara is based on the support given to me by their dedicated, now unionized through OPSEU, employees. This was sparked by my role in 2008 in protecting the Thundering Waters Forest. As a result of my efforts, assisted by NPCA employees, most of this area is now protected as the Niagara Falls Slough Forest. In 2008 I filed an appeal with the OMB of a decision of the Niagara Falls council, passed by only one dissenting vote, of a re-designation of the Thundering Waters Forest from industrial to mixed residential-commercial use. After filing the appeal I was contacted by the developer’s solicitor, to negotiate a settlement. After several meetings an agreement was reached. I accepted the solicitor’s arguments that if I wanted to preserve this forest I would require the support of the experts with the Ministry of Natural Resources, (MNR), who could ultimately end up supporting me in an OMB arbitration. The most difficult part of the agreement, which was not initially offered to me, concerned obtaining access to the site, if requested, for a wetland re-evaluation. This however, was obtained and subsequently honoured by the developer. From conversations with a former NPCA employee, I was informed that there was great excitement at finally being able to go onto the Thundering Waters Forest site, since access in fact, had previously been denied. I was also told that the developer had agreed to the terms since they thought the re-evaluation would not change anything. During the two years that the evaluation went on from 2008 to 2010 I was assisted by a close personal friend, John Lynn in communicating with what was going on. From conversations with him, buffered by those with NPCA employees it became clear that senior management at the NPCA believed a wetland evaluation was due. This was because of the need for ten year reviews where unprotected, (non-significant) wetland was just a few points below the 600 threshold required for protection. NPCA staff assisted MNR in the wetland evaluation. A previously undocumented grove of Black Gum trees was identified, and as NPCA employee rolled over a log during a site visit. This revealed the presence of the Blue Spotted Salamander. These findings were previously denied by the developers’ ecological consultants, who were present during the site visits, but confirmed the new species findings. When the protected Niagara Falls Slough Forest was recognized in 2010 I regarded it as one of the great accomplishments of my life. Others however, were not so happy. This was well expressed by a prominent Regional Council, Bruce Tims. Tims said that in 2010 a situation emerged where it appeared that the NPCA had lost its “balance.” This meant that in his view and others on its board, that it has become overly focused on the protection of the environment. He said this in a St. Catharines City Council meeting, before Council debated a request made by Niagara conservationist Ed Smith, that it call for a provincial audit into the NPCA. The NPCA Strategic Plan legitimated the subsequent firing of Conservation Authority staff. In this regard it should be understood that the developers’ agents were on site during the wetland evaluation. This means that they witnessed episodes such as the kicking over of the log that resulted in the discovery of the Blue Spotted Salamander. The person who made this discovery was the first to be fired by the NPCA Board, in a session, which I was told directly by the victim, involved a direct encounter with the then Board Chair. I agree with the requests of many that a provincial supervisor be appointed for the NPCA. If there is no current provision in the act this is the time to put it in. However, for a long term solution, when the supervisor leaves, there must be a return to at least the level of provincial appointment to Conservation Authority boards that existed before they were eliminated in 1996. I hope your deliberations will be a significant turning point in Ontario History, similar to the 1939-1940 hearings into the Department of Lands and Forests. Here a courageous conservationist John Irwin, denounced the firings of men such as Alfred Barnes, much as I am defending dismissed ecologists today. This resulted in a new thrust for public policy in Ontario towards conservation, which I hope your actions will set in motion. Superb analysis and sensible recommendations. But please, correct the typos.